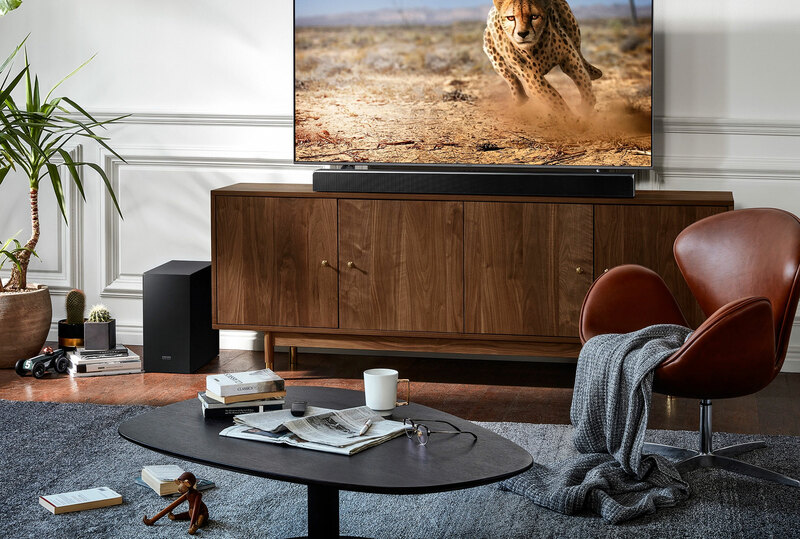 Samsung has launched a new flagship soundbar in the form of HW-N950 – and it looks like a beast both physically and in terms of power. The soundbar system supports both Dolby Atmos and DTS:X through its 7.1.4 channel output. 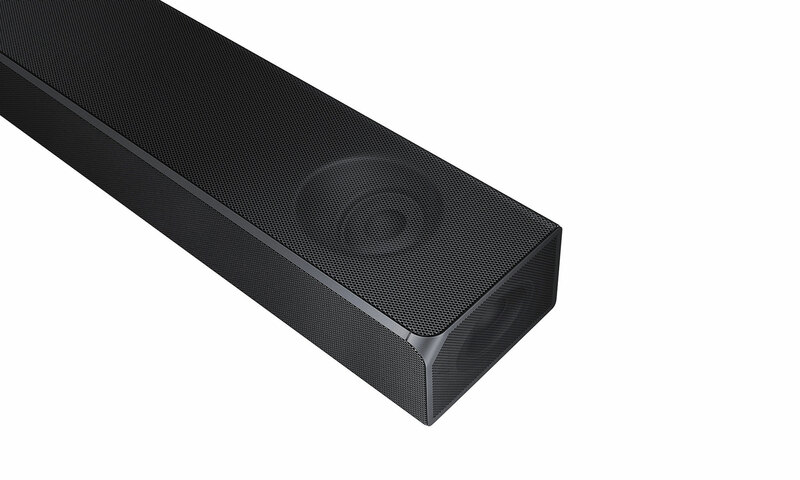 It is the successor to HW-K950 that was launched two years ago and represented the Korean company’s first Atmos soundbar. At first glance, HW-N950 looks like its predecessor but Samsung has since acquired Harman Kardon who has helped develop N950. Has this partnership contributed in any meaningful way or is it simply a branding exercise? With 7 channels in the soundbar, two rear speakers, and one subwoofer, does Samsung have the hardware to distance itself from the direct competitors such as Sony HT-ST5000? Let us find out. The packaging for HW-N950 is enormous and it is wrapped in flamingo around the various parts. It may not be elegant but it helps ensure safe passage from the Far East to the West. Perhaps a little surprisingly, the soundbar takes up the full width of the packaging. It is a massively long soundbar that demands a large TV – otherwise it will look silly. It stretches a total of 1 meter and 23 centimeters so you probably need at least a 55-inch TV, which is typically a little over 1 meter in width. Samsung N950 is probably about 10-20 centimeters longer than most other high-end soundbars. 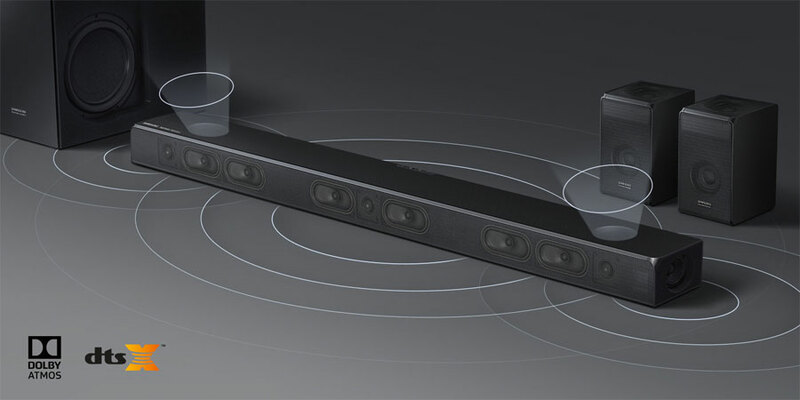 What makes N950 particularly interesting – besides being Samsung’s flagship soundbar – is that it comes bundled with rear speakers that feature up-firing units to reflect sounds via the ceiling towards the viewer. 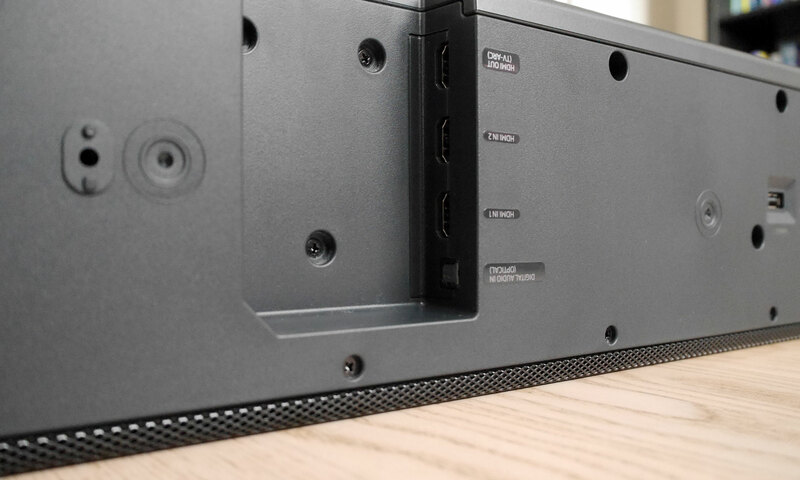 In addition, the actual soundbar has two up-firing units as well as two side-firing units that reflect sounds towards the wall to create an effect of sounds coming from each side. The goal is of course to recreate the best possible surround effect. The four up-firing units fire whenever you input a Dolby Atmos and DTS:X soundtrack, which are the two current and relevant object-based audio technologies. With object-based audio, sounds are created and encoded as objects (rather than channels) and can be defined in a three-dimensional space – including overhead sounds. Overhead sounds include things such as weather effects, a helicopter, or birds chirping. On paper, N950 delivers 7.1.4-channel audio but the units are tightly packed. We will examine audio quality in a moment. If you want a full introduction to Dolby Atmos and object-based audio technology, we can refer to our previous reviews of Atmos soundbars from Samsung and Sony. The design language of the soundbar is neutral. Black-in-black covered in a metal grille. However, the slanted edges manage to break the neutral design somewhat, and make it appear slightly less rectangular. In terms of looks, it is almost identical to the HW-K950 predecessor. The build quality is decent but the seams are not as tight as one could expect from a soundbar in the premium price segment. Overall the choice of materials and build quality represent a small improvement over the predecessor – but we have seen better. A flagship soundbar must have some cabinet volume in order to accommodate enough drivers and units and N950 is unlikely to be paired with a 40-inch TV so the massive size is to be expected. 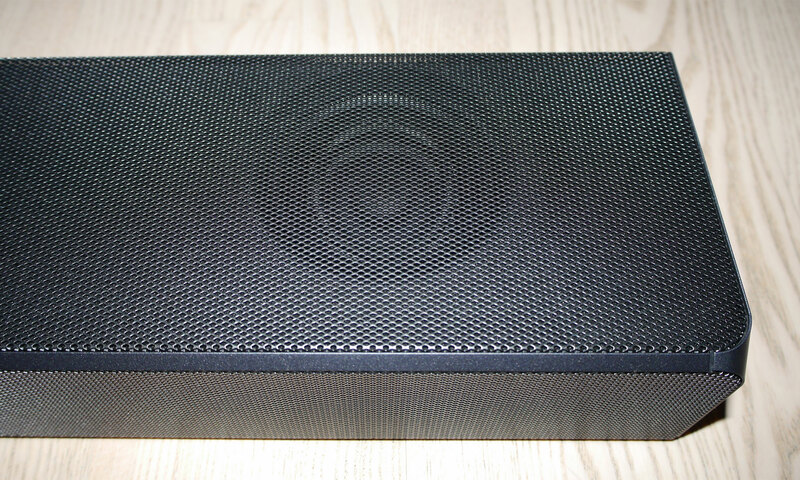 The subwoofer is fairly large, too, but actually smaller and lighter than subwoofers that come bundled with competing products such as the Sony HT-ST5000 flagship soundbar. Samsung’s subwoofer weighs a little less than 10 kilograms, which is light for a subwoofer in this price segment. Of course, size and weight alone are only indicators but cannot tell us much about the actual performance. Samsung has also included a wall bracket in the box. Samsung HW-N950 has three HDMI ports of which one is a HDMI output (with ARC = Audio Return Channel) for TVs. This leaves us with two HDMI inputs for connecting a Blu-ray player and other types of playback devices. Unfortunately, it is a trend in the industry that flagship soundbars come equipped with fewer and fewer HDMI points, which is miserly. The soundbar does not support HDMI eARC (enhanced ARC) so that is not even an excuse. Worse still, the cables have to be built to last because there is not a lot of space, meaning that you will likely have to bend your cables to make them fit. It may be a good idea to invest in angled HDMI cables for this purpose. 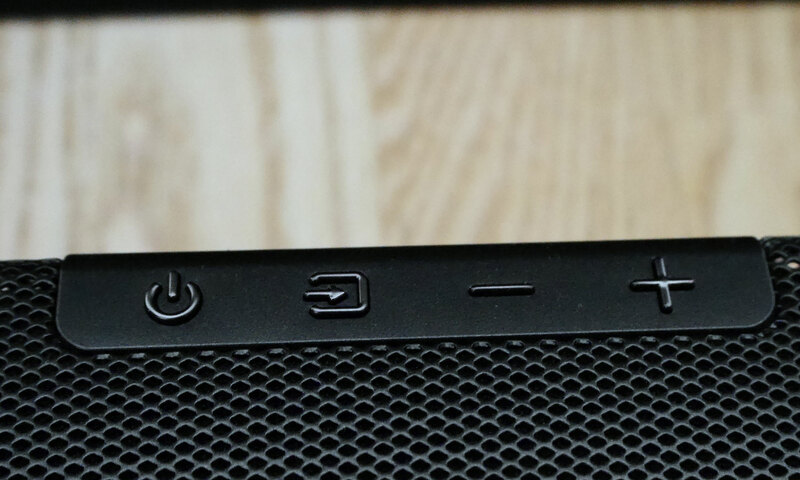 The soundbar also comes equipped with an optical audio port as well as built-in WiFi, Bluetooth, Amazon Alexa, SmartThings, and support for Samsung’s own multiroom system. It supports both Dolby Atmos and DTS:X, which is great. The previous HW-K950 lacked support for DTS:X. In addition, it supports pass-through of 4K, HDR and even Dolby Vision. Lastly, it corrects one of the major limitations of the predecessor where Dolby Atmos was limited to the HDMI inputs. N950 also supports Atmos over HDMI ARC (Audio Return Channel), meaning that it can receive Atmos input from a TV (i.e. from a built-in Netflix app). These are some important technical updates. The system was very easy to set-up. All it took was to connect the different units to power outlets and flip the switch. Since there is no visual interface on the soundbar, WiFi takes a little more effort and has to be set-up via an app or by pressing the WPS button. The remote control’s navigation wheel, however, is not very accurate and user-friendly, and I often had to press it multiple times to navigate the menus. It is not a great user experience but luckily you rarely have to use it in this way. 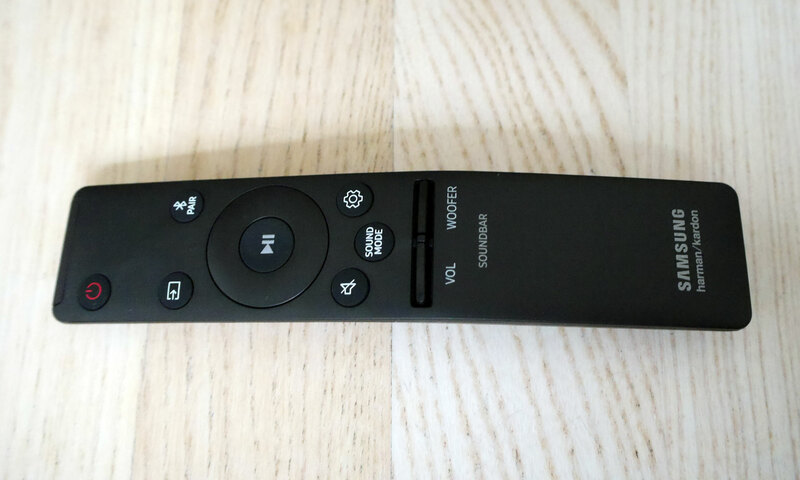 Besides the bundled remote control, you can use your TV remote control via HDMI CEC, which is a control protocol in the HDMI cable between TV and soundbar. It worked as intended. HDMI CEC is included in almost every TV sold in the last 5-10 years. Let’s get into action. Mad Max: Fury Road from 2015 has lots of explosions and big sound effects, but these sequences tended to be a little “fatiguing” while listening to HW-N950. After having watched one action movie, I needed to take a break and was not exactly in the mood for a Star Wars or The Lord of the Rings marathon. I think this can be attributed to the fact that H950 lacks precision in the low end frequencies. Sound effects in the lower end of the spectrum are not fully separated so the myriad of sounds in a movie like Mad Max can tend to get a little overwhelming. The system simply lacks definition in this area. My best analogy is when you find yourself in a room with reverberation suppression, which makes it sound like voices are bouncing around, producing echo. This can also be exhausting. The subwoofer is definitely the weakest link of the system. It produces full and powerful effects that can be felt in the stomach region, which a good subwoofer should be capable of, so explosions can indeed be felt. Unfortunately, the subwoofer lacks precision and definition, meaning that explosions tend to have some unintended after effects. It is possible to adjust the subwoofer volume via the remote control but this affects the balance between the speakers. One plausible explanation could be that there are vibrations in the cabinets, for example caused by poor damping in the subwoofer. It may help to put it on spike feet or placing something very heavy on top of it but this is not a product for audiophiles. Samsung is targeting the plug-and-play segment. After a thump in the stomach, let us move on to mid-tone performance, which is where human dialog takes place. N950 delivers much better and consistent performance here. You can clearly hear voices, even mumbling. Voice clarity may even be too exaggerated at times but this is hardly a disadvantage. The soundbar also manages to reproduce the various characteristics that define an actor’s voice, which ensures that it can stand the distance. You never get tired of quality. Gunshots and other metal-against-metal effects challenge the upper treble but Samsung N950 cuts through and produces vibrant sound without distortion – even at loud volume. Zooming out, Samsung HW-N950 delivers possibly the best Dolby Atmos effect of any soundbar – at least amongst the soundbar that I have had a chance to listen to. 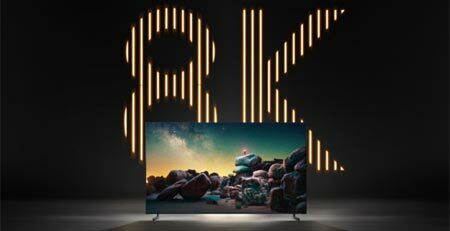 This can primarily be attributed to the fact that it is equipped with four up-firing units – two in the soundbar and one in each rear speaker. Since N950 has actual speaker hardware, it delivers a great and immersive 3D surround effect, especially for overhead effects. However, Samsung’s soundbar wins no price for precision, neutrality or build quality. 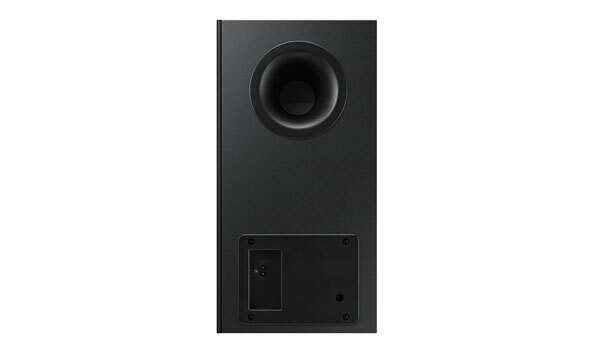 In these areas, Sony HT-ST5000 is in a league of its own but on the other hand ST5000 lacks rear speakers, which negatively affects Atmos performance. Choosing between Sony ST5000 and Samsung HW-N950 probably comes down to precision versus surround sound effects, respectively. These experiences also reinforce what we have concluded in some of our previous reviews of Dolby Atmos soundbars without dedicated up-firing units or rear speakers. Virtualization through software can only do so much but is no match for actual hardware when it comes to rear and overhead effects. There are still some caveats. For optimal rear speaker performance, N950’s rear speakers should be positioned at least 0.5 meters behind the listening position for the best possible effect. A good general rule of thumb is that you should position rear speakers at least 20-30 centimeters away, which corresponds to a thick backrest on a living room sofa. Samsung’s rear speakers require more distance, which is a little disappointing considering its price as it forces you to move your sofa or listening position a bit forward. You must also crank up the volume to around 15 or more to wake the beast and in order to get proper overhead sound effects. This is probably somewhat louder than most viewers prefer for everyday use but a good level for watching blockbuster movies. A typical listening scenario corresponds to approximately volume 8-10 on the soundbar but at this volume N950 does not live up to its potential. For the most part, I tested performance at volume 20 and here N950 has no trouble filling a living space with great sound. Samsung N950 has delivered good performance for movies but it steps up its performance for live TV and casual viewing. This can probably be attributed to the fact that the subwoofer plays a smaller role – and is rarely pushed to the edge. 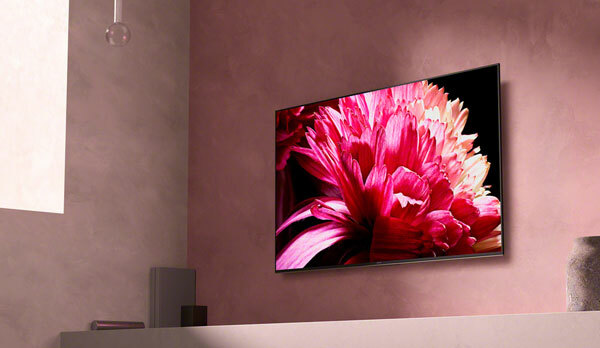 For TV programs, a soundbar’s mid-tone and tweeter performance is essential, and Samsung N950 shows strength. Sports commentators and announcers’ voices come through clearly and N950 manages to produce small details such as subtle anger or irony in voices that sometimes get suppressed in less capable soundbars. These are the nuances that you expect from a good soundbar in this price segment. Dolby Atmos and DSTS:X are currently reserved for physical media, and Dolby Atmos for streaming. Even though broadcasters have started experimenting with object-based audio, most TV channels are limited to 5.1 surround or plain stereo. Samsung HW-N950 has the capability to upscale and simulate object-based audio and use its many speaker channels but the effect is not very good, partly due to the low bitrate used for broadcast and streaming TV. Samsung HW-N950 is overkill if you are watching mainly broadcast TV but it is nevertheless an exceptionally reliable and versatile soundbar for watching movies, series, TV programs, and compressed audio in general. Music playback is the final discipline. Of course, music performance is not as important as movie performance in our tests but since a soundbar often serves as the main speaker of the living room, versatility is vital. Samsung HW-N950 is equipped with Bluetooth and WiFi for music playback. I never managed to get Bluetooth working with my iPhone but since N950 has built-in WiFi anyway there is absolutely no reason to use the inferior Bluetooth protocol that has limited audio bandwidth. I have a standard playlist that includes various tracks spanning multiple genres, including Adele’s Rolling in the Deep. Adele’s voice is voluminous, fantastic, and full of emotion but N950 reproduces audio that is a tad too dark, with the subwoofer being too dominant. The subwoofer’s tendency to interfere was underlined while listening to the acoustic live version of Eric Clapton’s Tears in Heaven in which the light drums were almost magically enhanced to sound like a foreground effect. This is not a good trait if your preferred music genres include soft rock or ballads – or if just prefer neutral sound. Korn’s Freak on a Leash was on the other hand highly entertaining with the extra bass effects. Unfortunately, drums tend to quickly muddy up as I cranked up the volume. It is hard to discern the various drums in the track, which to me is disappointing for an audio system in this price segment. For music, I would rate HW-N950 on par with Sony HT-Z9F, which sells for half the price. 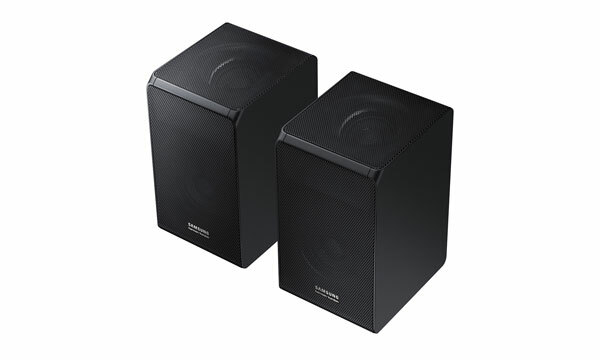 The main problem revolves around the subwoofer being too dominant and imprecise. It is built for heavy rumble bass and movie explosions, which is the polar opposite of music with a tight bassline. 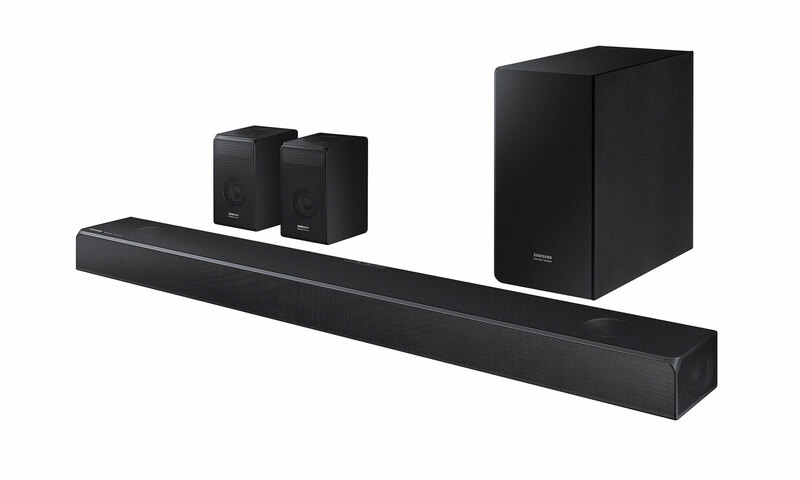 With HW-N950, Samsung has launched a new flagship soundbar. The model name is almost identical to the predecessor, except K has been changed to N to denote the new generation. 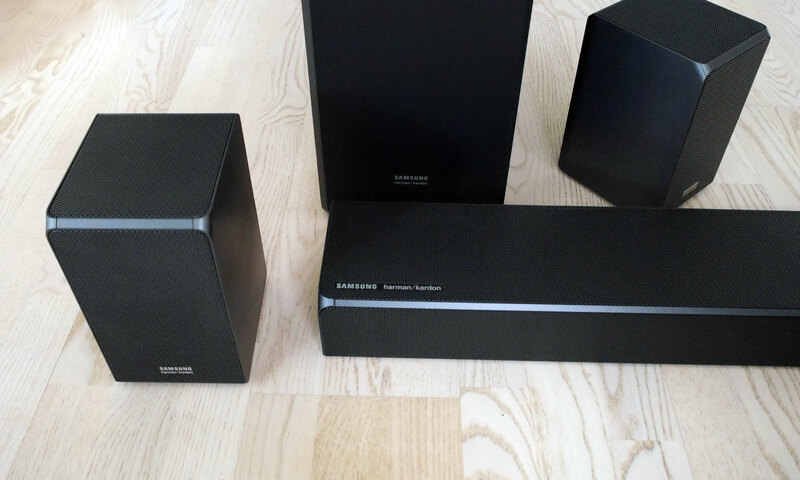 The soundbar system has been developed in partnership with Harman Kardon and while I am not able to quantify exactly how the company has contributed, I can conclude that N950 is a better product than its predecessor, despite some minor annoyances. These include too few HDMI inputs (only 2), hard-to-reach ports, and a poor navigation wheel on an otherwise good remote control. As for sound quality, N950’s strengths are found in treble and mid-tone at high as well as low volume. The soundbar system delivers the best surround sound experience of any of the Atmos compatible soundbars that we have tested. The Dolby Atmos implementation seems more mature and HW-N950 manages to really utilize the potential in object-based audio technology. This is made possible in part by two rear speakers and a total of four up-firing units – two in the soundbar and two in the rear speakers. Samsung is also selling a more affordable HW-N850 model without rear speakers. All of this comes at a high price but on the other hand top-of-the-line soundbars have become more expensive – and capable – in recent years so it is not unheard of. If I had to put my finger on one thing it would be the subwoofer, which is the weakest link. 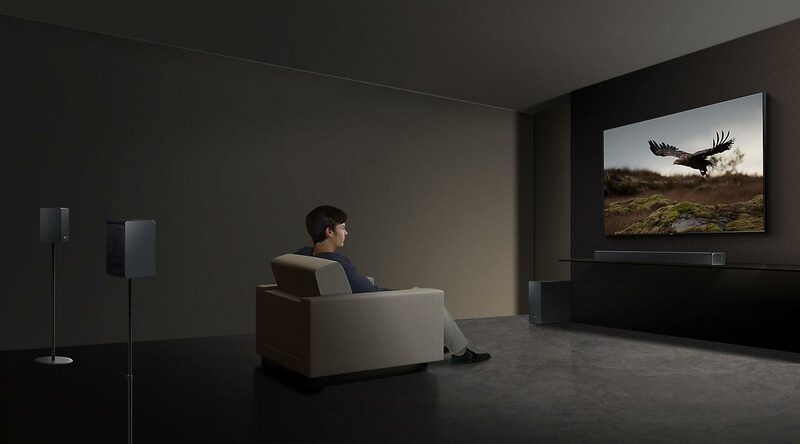 I wish Samsung and Harman would have put more resources into designing the subwoofer because while it is certainly powerful, it lacks precision and finesse, which can negatively affect the movie experience in some sequences. Depending on what you seek, the subwoofer may end up being a deal-breaker. N950 has a tendency to sound a little dark and while this is acceptable in some situations, it sometimes highlights the lack of neutrality in the sound produced. It also negatively affects its music performance – if this is something that is important to you. There are not many direct competitors in this segment but Sony HT-ST5000 delivers class-leading subwoofer performance, with bass so deep, tight, and precise that it should satisfy even HiFi enthusiasts. On the other hand Samsung HW-N950 delivers better surround sound and Dolby Atmos, primarily because Sony HT-ST5000 lacks any form of rear speakers. If you are a movie buff or if you want a proper surround sound solution without having to install a full HiFi system, Samsung HW-N950 should definitely be on your list. It still leaves room for improvement and the price is high but Atmos soundbars are starting to gain strength. Audio quality is assessed as overall audio quality, including treble, mid-tone and bass, as well as precision and balance. We also evaluate to what degree supported audio formats affect the overall audio experience. User experience is evaluated on the basis of user friendliness, speed, reliability, build quality, choice of materials, and day-to-day use of the product. Click for a more detailed explanation of the score system and Awards.